Whitney is certified in Applied Functional Science through the Gray Institute. 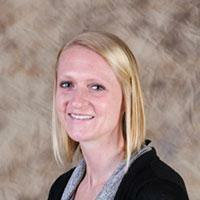 Whitney has special interests in manual therapy and sports medicine. She is a member of the American Physical Therapy Association, Wisconsin Chapter. Whitney is a Wisconsin native, spending many summers fishing and golfing with her family in the Northwoods. Her interests include running, hiking, kayaking, fishing, the Packers, reading, spending time with family and friends and anything outdoors.